The motorsport scene has undergone large technical changes over the last half decade with the implementation of high-efficiency technologies. 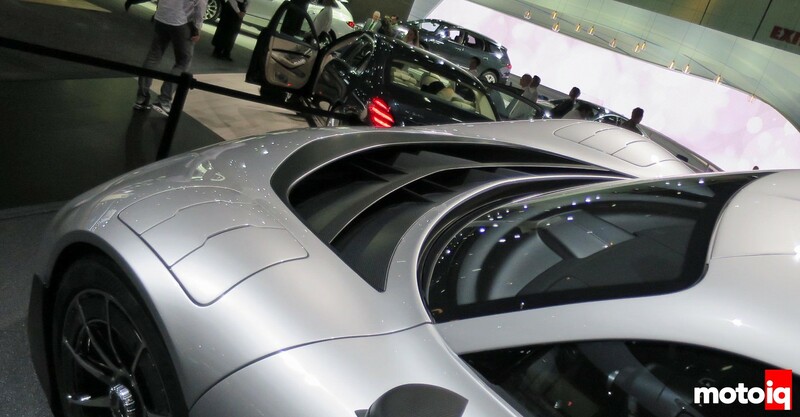 Some of the technology has shown up in concept cars. 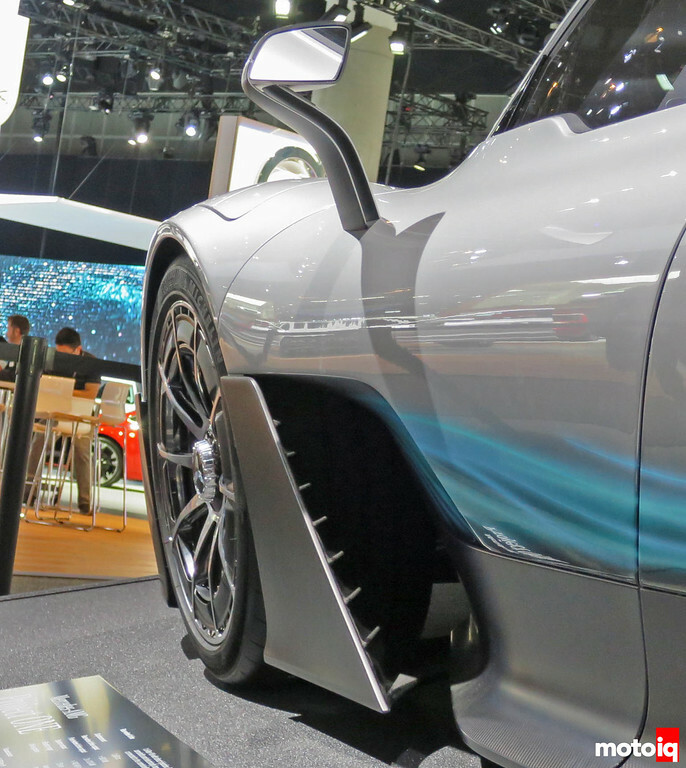 Some of the technology in road going cars have been eliminated from the race car version. Then there’s just good ole big displacement with forced induction on top. There was even a bit for the off-road guys. A few years ago, Formula 1 had a massive change in technical specifications for the powertrains of the cars. 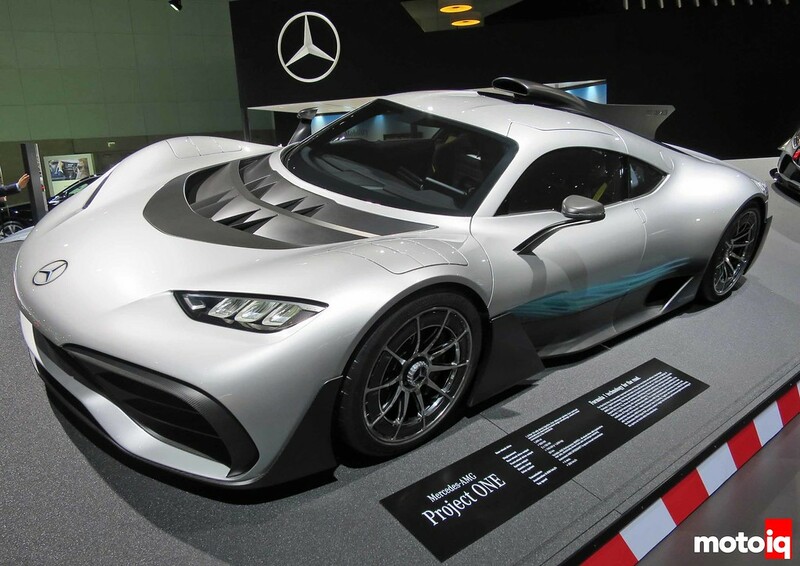 Mercedes AMG decided to put the result of all their hard work on the latest Formula 1 powertrain package into a street car concept, the Project ONE. A decade ago, the engines were naturally-aspirated V8s pushing 20k rpm. Then, there were optional hybrid systems. Then came the massive shift to smaller displacement V6 engines with turbos along with kinetic energy recovery and waste heat recovery systems and electric motors. While many people bemoan the lack of noise with the new powertrain packages, there’s no denying the exponential increase in the energy efficiency of internal combustion powertrain systems. Over roughly the previous thirty years, the thermal efficiency of gasoline engines improved from maybe ~20% to ~35%. In less than five years since Formula 1 made the technical regulation change, the money thrown at Motorsports has increased that efficiency to around 50%. Say what you will, but the regulation change to make Formula 1 technology relevant to everyday consumers has exponentially improved internal combustion engine powertrain technology and efficiency. The e-turbos used in F1? I expect the technology to be on cars you can buy within half a decade. Say goodbye to turbo lag. The roof scoop rams air into the airbox leading to the turbocharger compressor inlet. Increasing the air pressure going into the compressor inlet means the compressor can operate at a lower pressure ratio to hit the same absolute pressure in the intake manifold. That translates into the air coming out of the turbo being cooler. It also means less turbine power is required which reduces the backpressure on the engine. I didn’t notice it at first, but there are massive NACA ducts at the front of the clear lexan that feeds massive carbon fiber ducts which go to cool something. These advanced hybrid powertrains have more components to cool: standard engine coolant and oil cooling, intercoolers for the turbos, and cooling for the electric motors, batteries, and high voltage electronics. The lexan also has slots for extracting hot air from the powertrain compartment. There’s a lot of heat exchangers at the front of the car as evidenced by the massive venting area of the front hood. Check out the front fenders…. 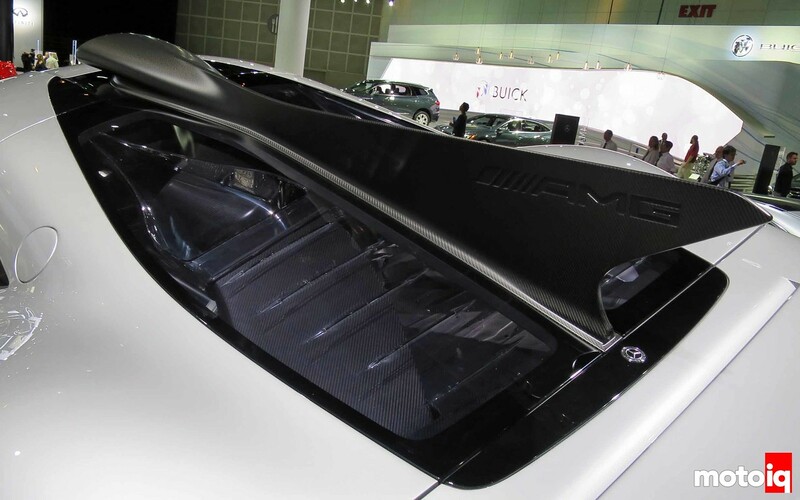 Those appear to be variable aero louvers; stay closed for minimum drag and open up for increased downforce. That’s just a guess on my part, otherwise, some designer thought it’d look cool to put rectangular outlines in the fenders. The side mirror stalk is interesting as it’s comprised of two blades essentially. One probably wasn’t stiff enough and I’m guessing the engineers determined there was less drag to use two blades as opposed to a thicker solid airfoil shape. The rear of the wheel well is massaged to allow air to escape. The panel behind the front wheel is to probably help control that airflow coming out of the wheel well area. I’m guessing the airflow concept is similar to LeMans prototypes where the air entering the front of the car is routed around the front wheels and out the sides.